Some of you already boast impressive kitchen skills but for everyone else, we’re evening out the playing field with a series of how-to articles that will teach you how to cook the basics. We all need to eat, and for those who are new to making healthy meals from scratch, learning to cook can be a long road filled with flavorless mistakes, burnt dinners, and mystery mush. We’re here to put an end to that. 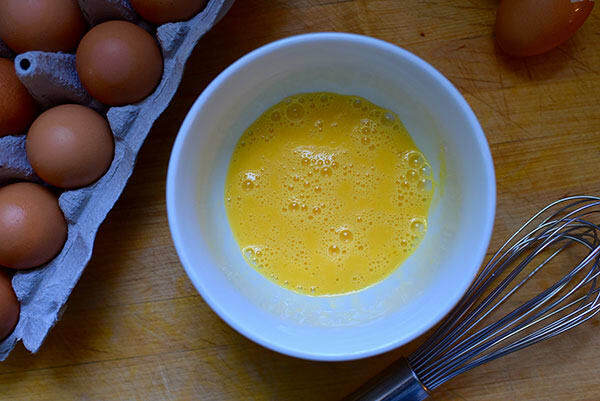 Today, we’re going to show you how to make scrambled eggs that are perfectly fluffy. 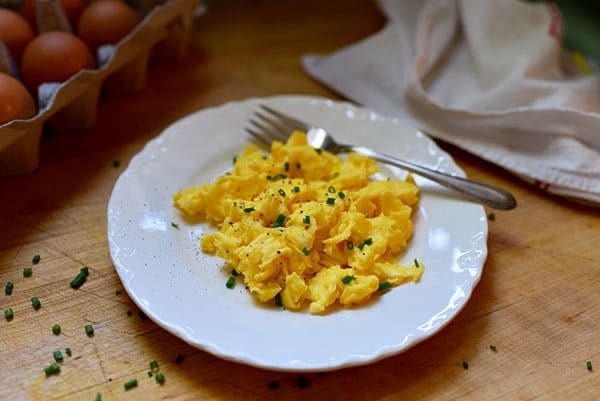 You might read that and think, “Come on, everyone can cook scrambled eggs.” Yes, most people can cook scrambled eggs, but only a few do it really well and chances are, you could be making them even better. Follow the tips below to make fluffy, creamy, scrambled eggs that are delicious enough to be the main event at breakfast instead of a rubbery afterthought. Egg shells are porous, and when they spend too much time in the fridge, they can absorb the flavors of your leftovers and other foods (sardine-flavored eggs, anyone?). Choose eggs that have only been in the fridge for a few days. (Fun fact: Older eggs are better for making hard-boiled eggs, as it makes them much easier to peel. 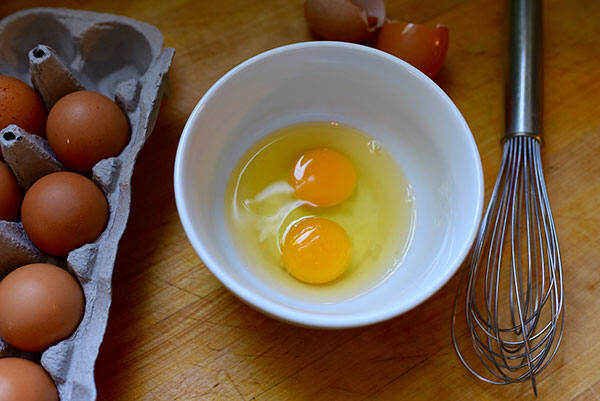 Whisk eggs until they are frothy and the yolks and whites are thoroughly blended. This adds air to make them light and fluffy. Don’t set them aside for long, as the air you’ve introduced will escape. 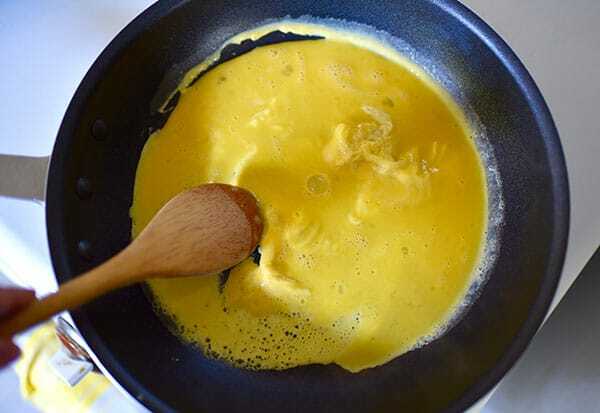 Cook scrambled eggs in a wide skillet, rather than a small sauté pan. This allows more contact with the pan to cook the eggs evenly. Remember Julia Child’s recommendation to not crowd mushrooms? Same goes for eggs. As soon as the eggs that are in contact with the bottom of the pan start to set, stir the eggs so the raw eggs can cook. You control how creamy and fluffy your eggs are by how much you stir. If you like them creamy like in a fancy restaurant, stir constantly. If you like small curds, stir every few seconds. If you prefer large, fluffy curds, stir less frequently, but never let the eggs on the bottom of the pan overcook. Remove them from heat just before they are done. 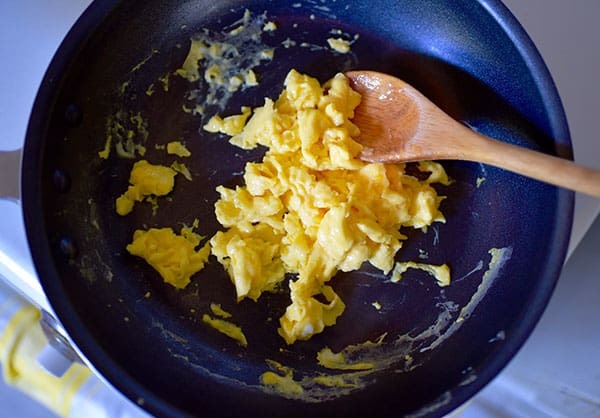 Eggs continue to cook after you remove them from the heat, so if you cook them to your liking in the pan, by the time they cool, they can rubberize. If you find your eggs are still too soft, return them to the pan for a few seconds just before serving. If you add salt as you cook, it can draw water out of the eggs leaving the results less than perfect.